Everyone thinks getting braces is scary, and that’s one of the primary reasons people choose to not go through with treatment. We’re here to tell you that most (if not all) of the fears you have about getting braces are completely false or at the very least, entirely unlikely. There’s no need to be spooked by braces! A lot of people assume that having braces means your mouth is going to be in pain 24/7. Yes, some pain or discomfort is not unusual, but it’ll be significantly less frequent than you would assume. Upon initially getting your braces and when your braces get tightened, you are likely to experience slight soreness. This goes away after a few days and your mouth goes right back to feeling normal! Pull this blog post up and show it to everyone who says you can’t play sports with braces because YOU CAN. You can absolutely play sports, but it is recommended that you wear an orthodontic mouthguard to prevent injury or damage to your braces. This is very false. There is no factual evidence to back this, and your odds of being struck by lighting are already so small, you shouldn’t be worrying about it anyways. You can get shockingly straight teeth with no worries at all! Okay, everyone has seen a movie clip or something of two kids with braces locking lips and inadvertently somehow managing to lock their braces as well. This doesn’t happen, so you have nothing to worry about the next time you and your significant other decide to show each other a little love. This one is true, but it shouldn’t scare you because it’s only temporary. There is a chance you’ll have a slight lisp when you first get braces, but once your mouth adjusts to the new additions, it will go away. There are how-to articles you can read as well to help get rid of your lisp. There is absolutely no need to worry and this is perfectly normal. 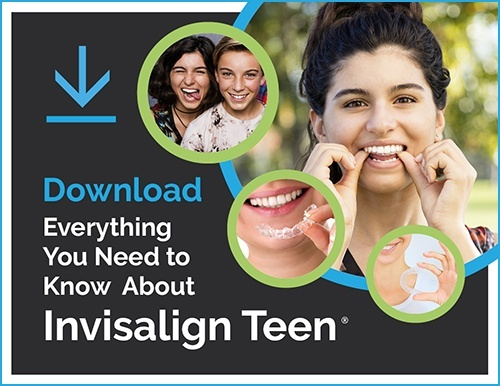 There is no way a medical professional – your orthodontist – is going put something in your mouth for a long period of time that is made of a metal that will rust. The science of orthodontics has come a very long way, and rusty metal braces are not going to happen. In fact, the recent developments in treatment make braces better than ever! There are plenty of other things people are afraid of when it comes to braces, but most fears can be alleviated. Just do some research, read through some more of our blogs, and don’t believe everything you hear. Braces are a safe and easy way to align your teeth; no matter what you might be afraid of, give us a call and we can talk you through it. We’re here to make sure your experience is as pleasant as possible and that you end up with the smile of your dreams!